Don’t like the price—MAKE AN OFFER!!!! 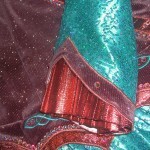 Aqua satin sleeves and soft skirt with holographic turquoise sequin overlay gives this dress a unique gem tone color and shimmer on stage. 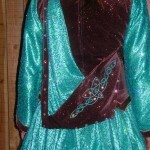 Bodice is chocolate brown stretch velvet with very sparkly copper glitter pin-stripping. Copper lame accents the bodice with up-to-date asymmetrical style. 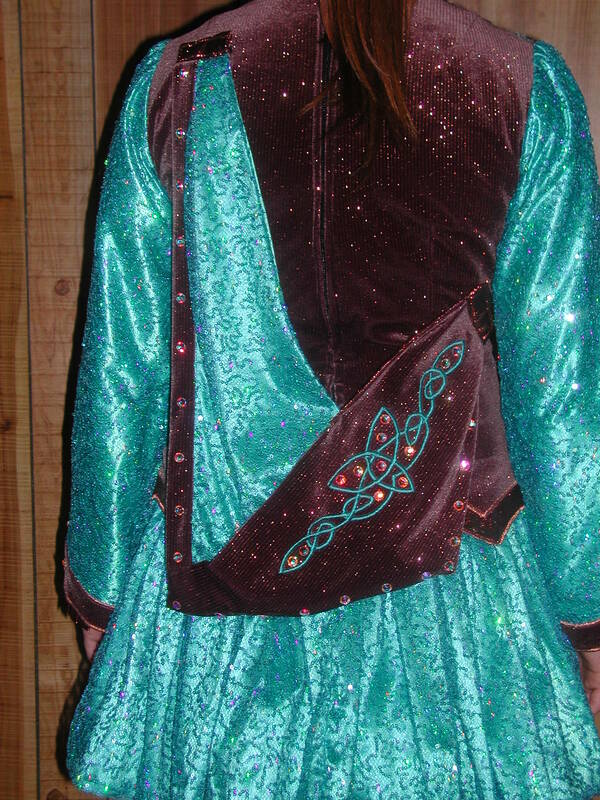 Ab Crystal Swarovski crystals added to neckline, bodice, cuffs, and copper accents give extra sparkle. Comes with 2 pair of bloomers–one copper pair and one aqua pair. Separate aqua organza tutu (no itchy tulle!!). Can wear with or without depending on fullness wanted. 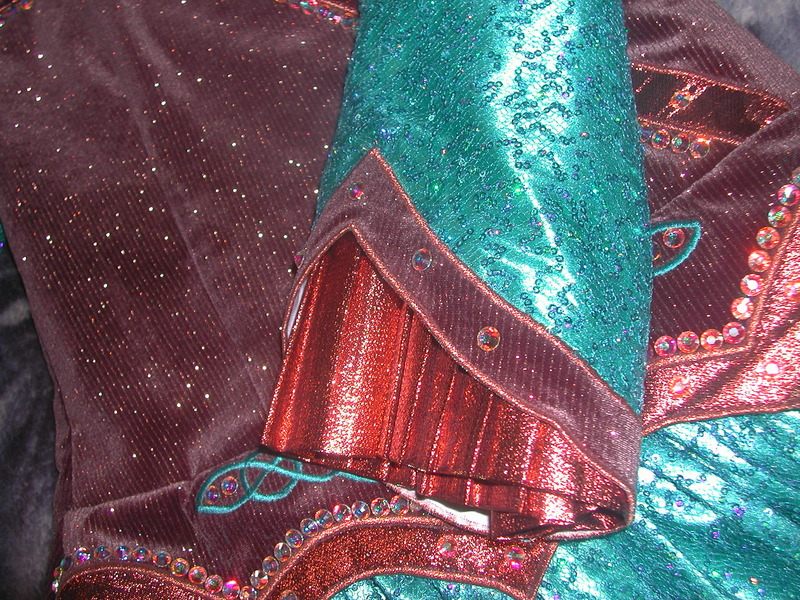 Two turquoise sequin headbands and one aqua and copper fabric tiara backing. One inch let out on both sides of bodice and one to two inches let down available. 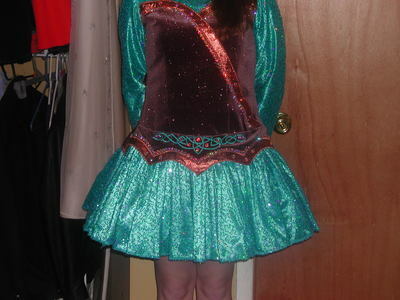 Have more pictures of dress up close, tutu, headbands, and bloomers, and tutu. Contact me and I can email them to you. Made in January 2010. One inch let out in each side seam. One to two inches let down of skirt from drop waist seam. Asking Price: $350 USD ONO. Shipping costs are included for my own country, overseas shipping is extra. Sale is final.